I had a bit of trouble with this one. I wanted to use Navy patterned paper and discovered I only owned one sheet of it, so I didn't have any choice but to use the dot one below. I had better get shopping for some more paper! This is what I came up with in the end. The dot in the patterned paper is actually cream but looks white in this photo. 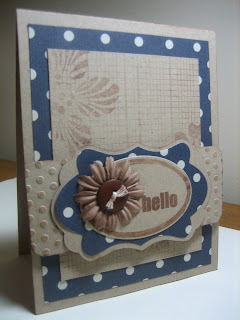 Pretty, I like what you came up with, using your one sheet of navy blue. 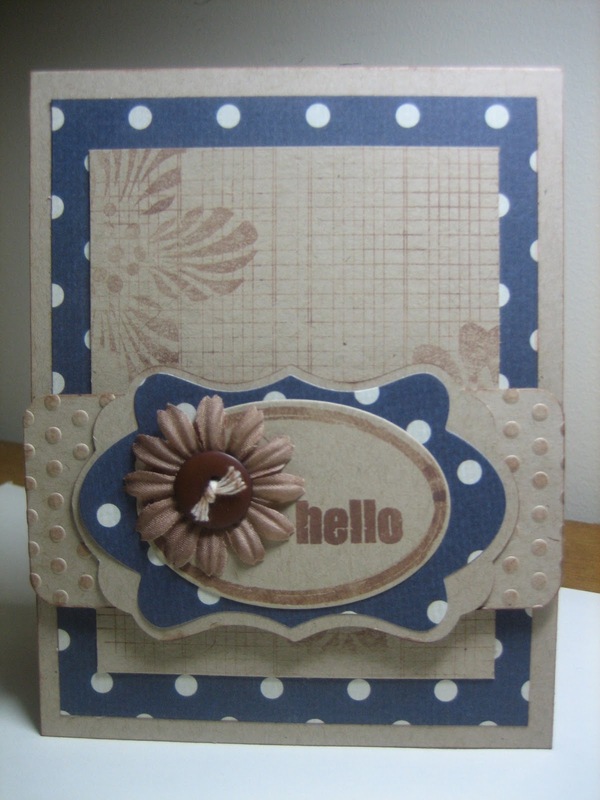 Love your use of your only navy patterned paper piece! 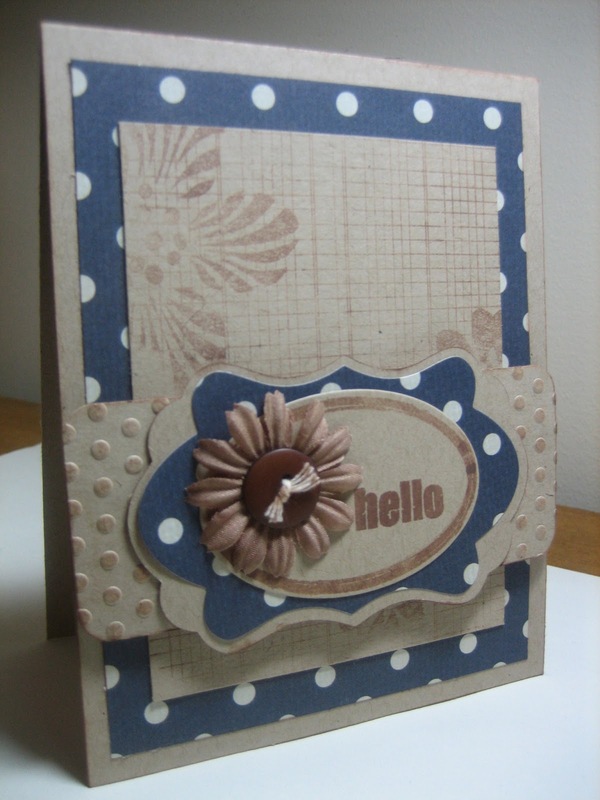 It looks great with the kraft and label designs. 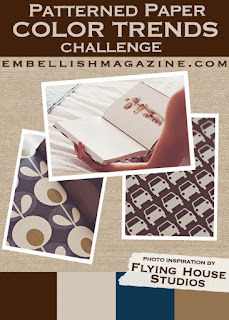 Thanks for taking on an Embellish challenge.